Since 2015, Homewood Research Institute (HRI) has partnered with Homewood Health Centre to collect data from patients who receive treatment in the Centre’s Addiction Medicine Service (AMS). Originally known as Post-Discharge Outcomes Monitoring or PDO, this data-collection system is led by HRI researchers and was piloted to allow for the rigorous and ongoing evaluation of the quality and effectiveness of Homewood’s program by collecting and analyzing data from patients as they navigate their first year of recovery after treatment. HRI is pleased to announce that, as of April 30, 2018, the PDO system has a new name and has been embedded into regular practice within the Addiction Medicine Service. Clinical data is collected by AMS staff while patients are receiving inpatient treatment. Following discharge, patients are then invited by HRI to take part in research on the recovery process. 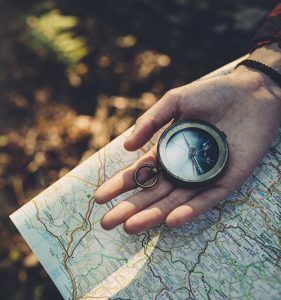 Now known as the Recovery Journey Project, this collaborative effort is one of the only longitudinal studies in Canada designed to measure key indicators of recovery over time. The Recovery Journey Project will help us better understand the recovery process among those who receive mental health and addiction treatment. In this way, it will guide improvements to programs and lead the way to measurement-based services – at Homewood and beyond. To mark the launch of the Recovery Journey Project as a fully integrated research study at Homewood, HRI has created a microsite outlining the project’s key features and findings. Updates and knowledge translation activities will be shared as the study progresses. The potential impact of the Recovery Journey Project is vast: this framework can be utilized to measure recovery outcomes across a range of treatment domains. Currently, the system is being refined for implementation within other Homewood Health programs. For updates on the Recovery Journey Project, subscribe to HRI Connects or visit recoveryjourneyproject.com. This entry was posted on June 4, 2018 by Heather Froome. 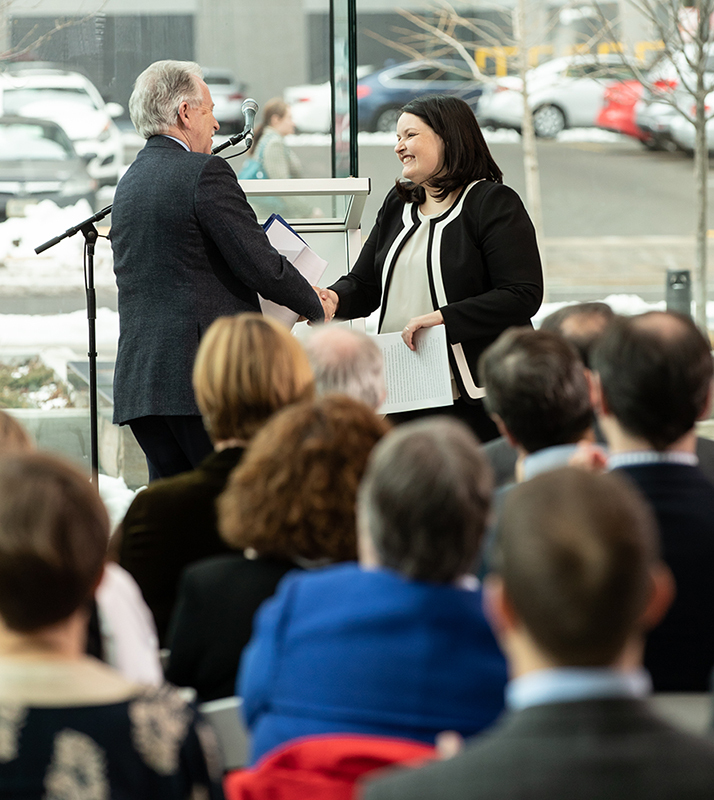 On Monday, April 16, guests from McMaster University, Homewood Research Institute (HRI), Homewood Health and St. Joseph’s Healthcare Hamilton gathered to honour Dr. Margaret McKinnon as she stepped into her new role as Homewood Research Chair in Mental Health and Trauma. The role marks the strategic partnering of McMaster, HRI, Homewood Health and St. Joseph’s in a joint effort to advance treatment for trauma-related mental illness and addiction. 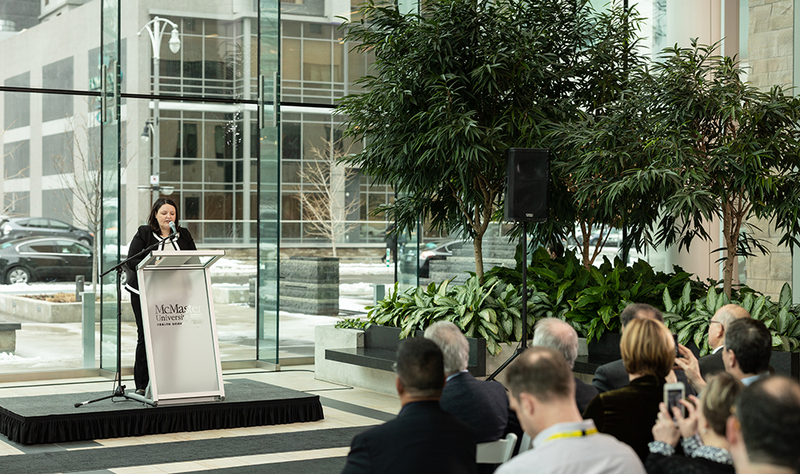 Leaders from partnering organizations were present to congratulate Dr. McKinnon and discuss the impact of building a national network – known as the Homewood-McMaster Trauma Research Network – to advance treatment for trauma. President and Vice-Chancellor of McMaster University, Dr, Patrick Deane, spoke about the importance of collaboration in academic settings to advance healthcare research. Dr. Kevin Smith, CEO of St. Joseph’s Health System, and Dr. Paul O’Byrne, Dean and Vice-President of the Faculty of Health Sciences at McMaster, shared details about the novel partnership, which aims to merge existing clinical expertise in applied clinical research with new treatment ideas, research, evaluation and knowledge exchange to improve treatment and outcomes for people experiencing PTSD. 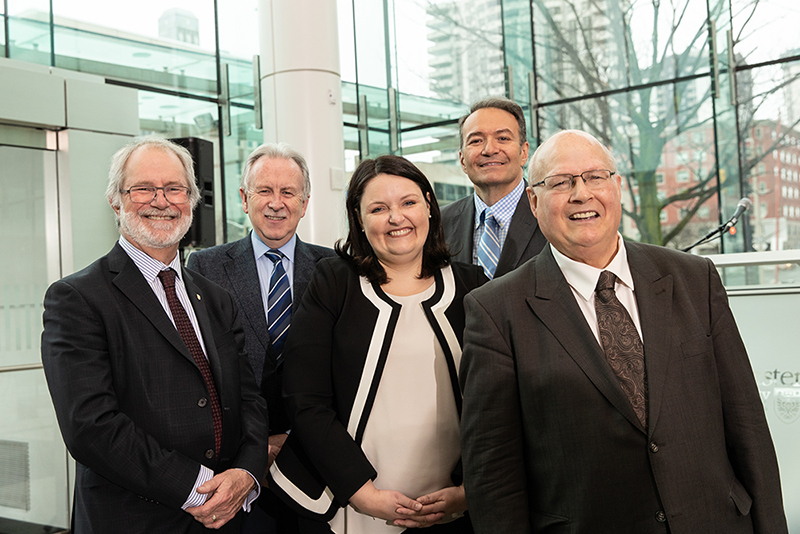 Dr. Ron Schlegel, Chair of the HRI Board, discussed the value of funding research initiatives that invite collaboration – particularly among leading researchers and institutions in the field – to advance common goals in mental health and addiction treatment. Dr. McKinnon is developing a Trauma Research Program at HRI and will play a key role in building the Homewood-McMaster Trauma Research Network, which will have its foundations in Ontario and expand across Canada in a multi-year process. A Vietnam veteran was once asked about his struggle to make eye contact with others since returning from war. “I can’t look anyone in the eye for fear that they will see the stain on my soul for what I’ve done in Vietnam,” he replied. This powerful statement summarizes the experience of many veterans and military members. And, in large part, it summarizes what it means to suffer a moral injury. A moral injury occurs when a person has to witness, fails to prevent, or engages in an event that violates their personal moral beliefs. For example, military members may encounter situations or be forced to make choices that conflict with their own ethical standards. Exposure to morally injurious situations has been linked to adverse outcomes, including post-traumatic stress disorder (PTSD). The concept of moral injury in relation to PTSD has emerged in the past decade and has been identified as a vital area of study for mental health researchers – particularly those working with military members and veterans. Currently we have a very limited understanding of how the brain and body respond to moral injury, but one HRI Scientist is looking for answers. 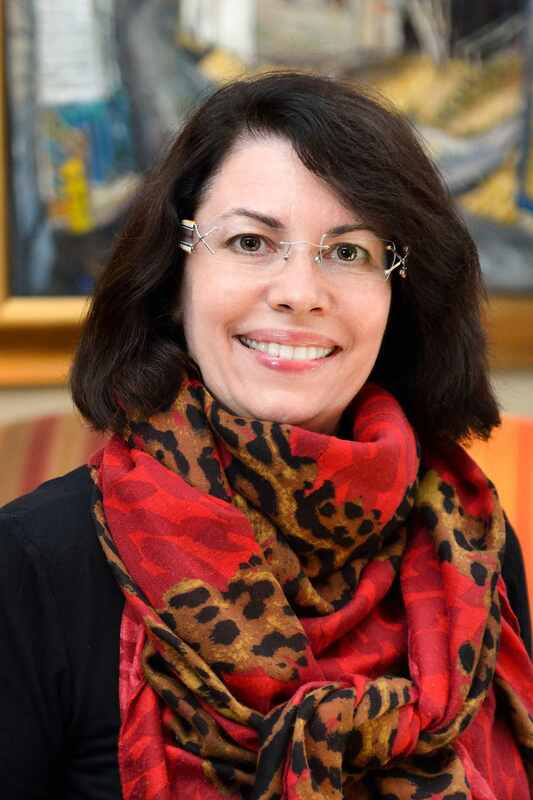 “We can only understand how to treat moral injury if we understand the mechanisms underlying it,” says Ruth Lanius, MD, PhD and HRI Associate Clinical Scientist. Dr. Lanius is Professor of Psychiatry, Director of the PTSD Research Unit and the Harris-Woodman Chair in Mind-Body Medicine at the Schulich School of Medicine and Dentistry at Western University. Her research interests focus on the neurobiology of PTSD and the development of new treatments. In collaboration with colleagues Chantelle Lloyd, Charlene O’Connor and Dr. Margaret McKinnon, Dr. Lanius is leading groundbreaking research that uses neuroimaging to explore how the brain processes morally injurious events. “PTSD is often thought to be the primary mental health concern for individuals returning from war,” says Dr. Lanius. Still in its early stages, Dr. Lanius’s research aims to do just that: gain insight into the wounded conscience and learn how to treat those wounds. To learn more as Dr. Lanius’s research develops, subscribe to HRI Connects or follow HRI on Twitter, Facebook and LinkedIn.